Taking the baton from Internet Explorer browser which was developed by Microsoft, Google Chrome browser developed by Google was released for Microsoft Windows in 2008. It is a cross-platform web browser which means it is a software that can be run on different computing platforms. It was later adapted for Linux, Android,macOS, iOS. The browser also serves as the platform for web apps in Chrome OS. Chrome Store (or Web Store) is the online store of Google for its web browser. It stores thousands of extensions(small software modules for customizing and modifying the web browser) and web apps. Google Chrome themes are designed and used to change appearance of the browser. One can install various themes to modify the appearance of Google’s browser Chrome. The concept was developed from Google Chrome Version 3.0. Various Google Chrome Themes available are wildlife, nature, colorful, black, graphic designs and so on. Firstly on the computer open Chrome. Head to the right top corner then, click on Settings. Under settings, go to the ‘Appearance’ tab click on Themes. Click on the various Themes logos to view them. One can also select various Themes on the online gallery by visiting online Google Chrome Webstore and choose a Theme of one’s choice. In this way, one can select a particular theme as a Chrome background. 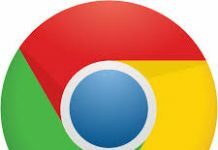 One can also reset Chrome Theme to default if one wants to remove a particular Theme. In Settings, under the ‘Appearance’ tab click on ‘restore to default theme’ to reset the Theme to default. Google Chrome Themes can be classified into various categories. There is a wide variety of different Themes available on Google Webstore. To broadly categorize them to simplify one’s search; the Themes can be classified as colorful, dark, animal themes, landscape and so on. The categories are extensive with a wide variety of Themes available in each. To get a broader picture and a gist, to make a selection of the Theme an easier task as per one’s own choice; various types of Themes are categorized in major broad categories. 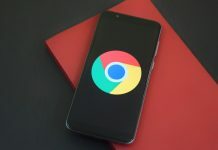 10 Best Google Chrome Themes for 2019, based on popularity and search by the majority. These are Dark (Black) color background themes and make the appearance dark with a black background and dark or dim appearance of the screen. These themes make some subtle changes in the appearance of Chrome screen. They are for people who wish to have a simple change in the appearance of their Chrome screen. The themes which give some or more color to the background are classified into colorful themes. As the name suggests, the real pictures showing beautiful natural landscapes of the world are grouped in this category. If one is interested in astronomical and space views, one can put the astonishing space themes of Chrome. Various superhero themes are available to cater children and Superhero fans. For the lovers of oceans and seas views the themes are available showing pictures of water life and many sea and ocean creatures. In Animal themes, the themes with pictures of various animals like cats, dogs, etc. are grouped. So the animal lovers can put a personalized theme for themselves if they wish to. Pattern themes involve various themes whereby pretty and eye-catching patterns are shown. For car lovers, the themes showing various Car models; old or new, are categorized in this. 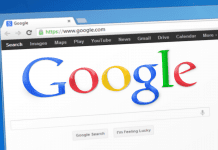 Thus, above are a few categories out of many whereby one can view and download various themes according to one’s own choice to personalize their own Google Chrome.